As you may know there is a certain clothing brand I have a very big soft spot for. 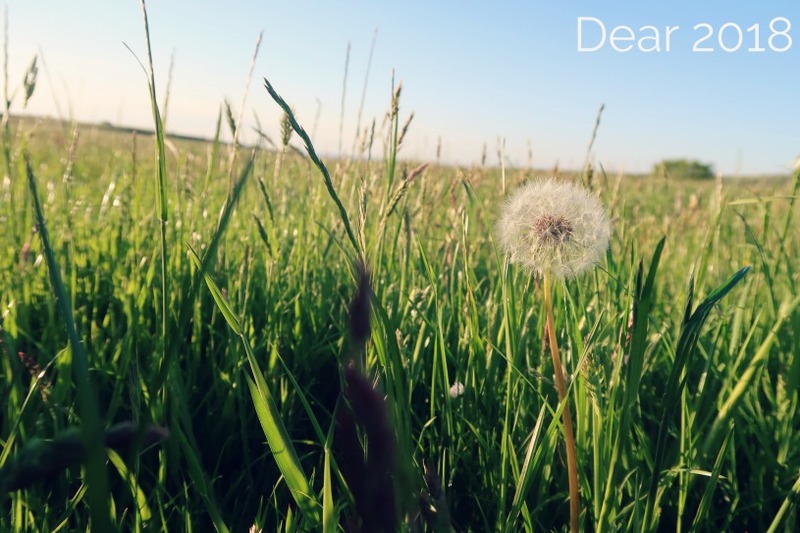 Joules clothes are made to a high quality standard, and look amazing. Given the opportunity to review some pieces I headed straight for the coats for both of the boys. 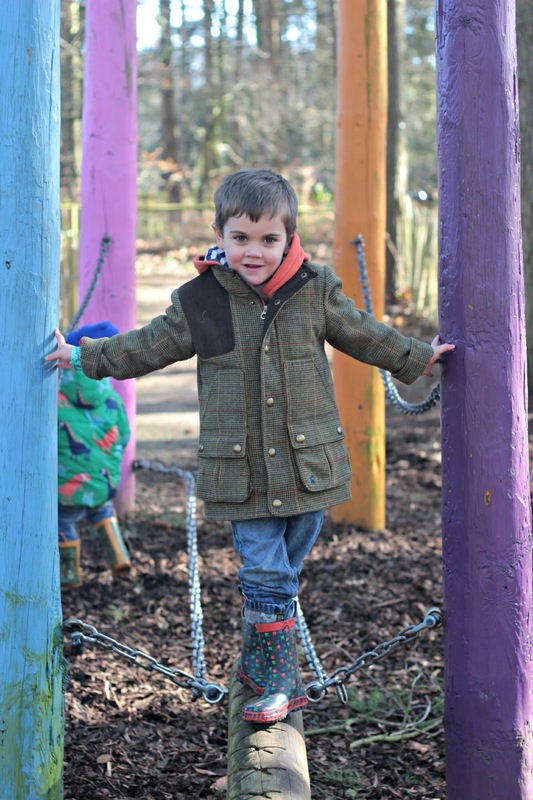 Charles already has a coat from Joules which is weatherproof and warm, perfect for school. But rolling around in the mud in the school playground means it is constantly in the wash at the weekend. 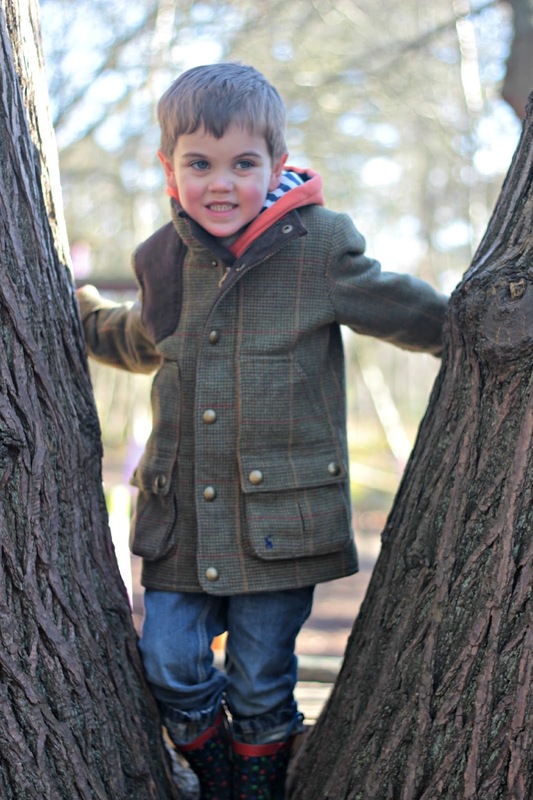 I fell in love with the Boys Tweed 'Mr Toad' Jacket and new it would be perfect for him. I ordered in a size 5 knowing it would be too big, we always buy coats a size too big so they last longer. This one is slightly long on the arms as a result but a quite fold back of each sleeve and it was perfect. 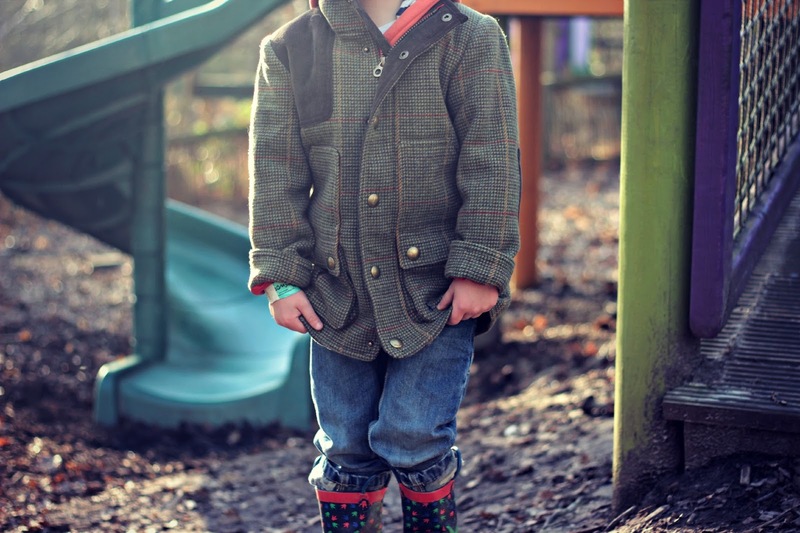 The orange lines running through the tweed makes the coat that little bit more special and makes it really stand out. We love the deep square pockets and the brass poppers lined down the centre of the jacket as well as featuring on the pockets. 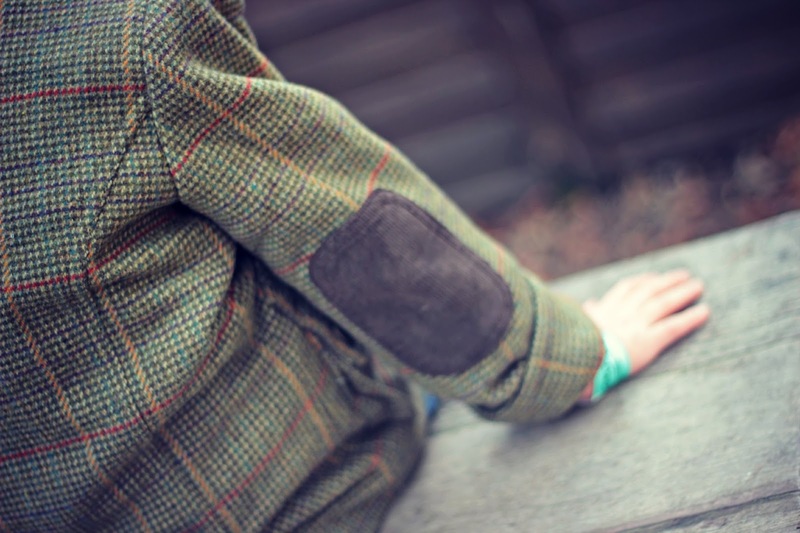 The cord details on the elbows and shoulder make this jacket extra special, as well as the Trademark Rabbit stitched into the left hand pocket. 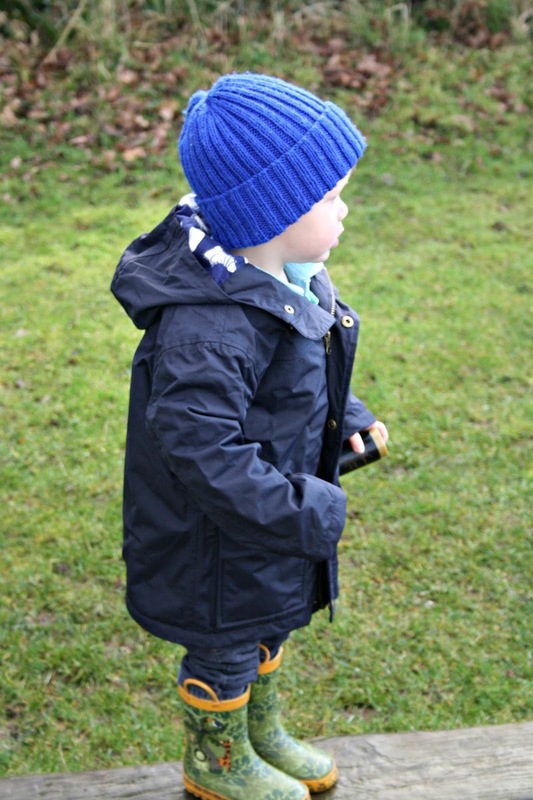 The coat is nice and thick, although not making your child too hot and as well as poppers had a zip running through the centre of the jacket. Charles adores it, he is as big a fan of Joules as me, and we now affectionately call it his "Princes Charles" coat as Prince Charles wears a tweet jacket too. For Harry I selected something practical. Although tempted to go for another Mr Toad jacket I didn't feel it would suit him and instead wanted something that will be useful for us later this year. After recently buying a boat we are now putting together the smaller items we need. Weatherproof jackets are a must and so I chose the Marine Navy hooded jacket. Again I went a size too big and chose a size 3. Although it is slightly too big it doesn't really look too bad and gives him enough room to move around in comfortably, which he'll need when he is on the boat as well as walking along the banks splashing in puddles. 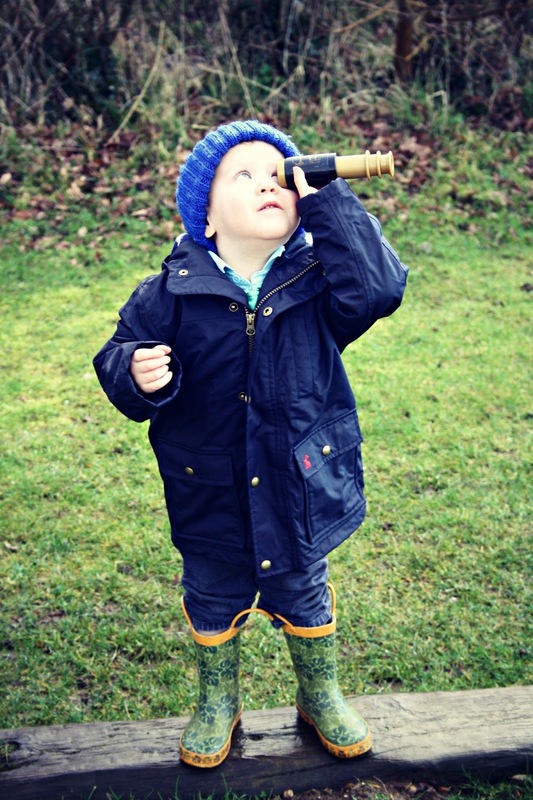 The jacket is made from a fabric that is windproof and waterproof. It features a zip, two deep square pockets and those beautiful brass poppers. 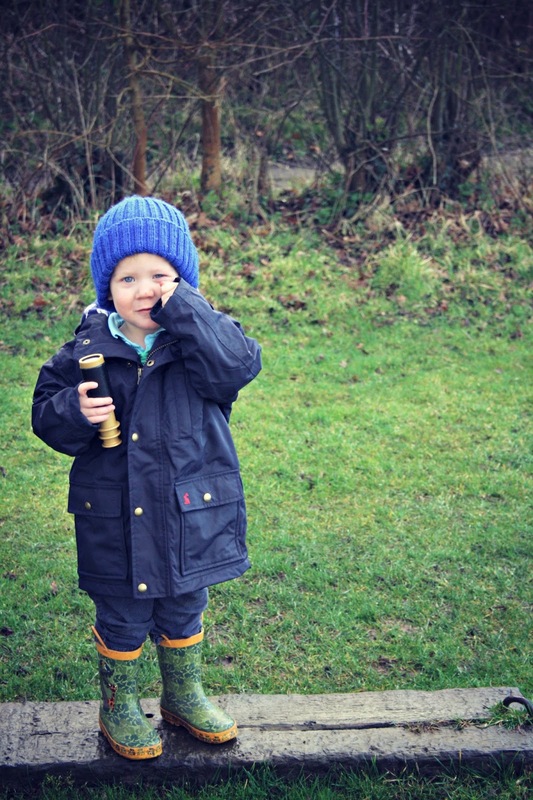 As you can see Joules coats for boys are a must for the cold weather and should be an essential item in any childs wardrobes. Both my boys are fans! 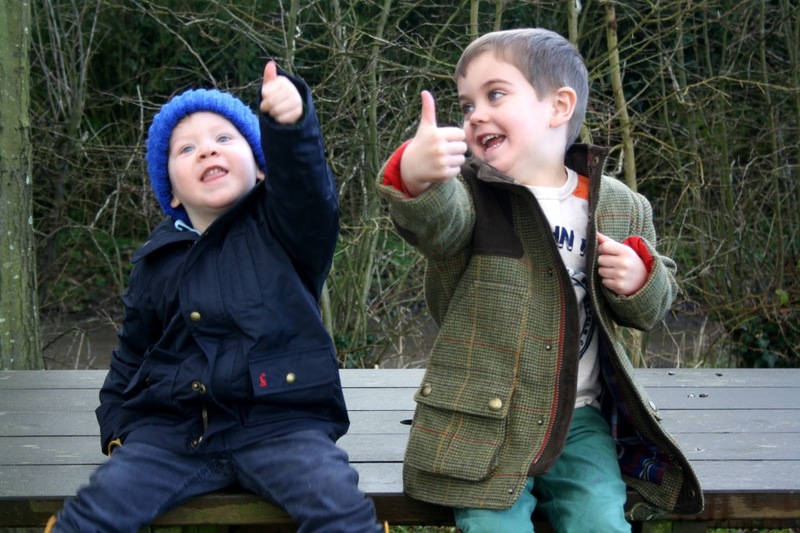 We were sent these coats for the purpose of this review.